MALÅ Geoscience is well prepared to offer a cost-effective GPR solution for the aging infrastructure problems that many of the cities worldwide are facing. 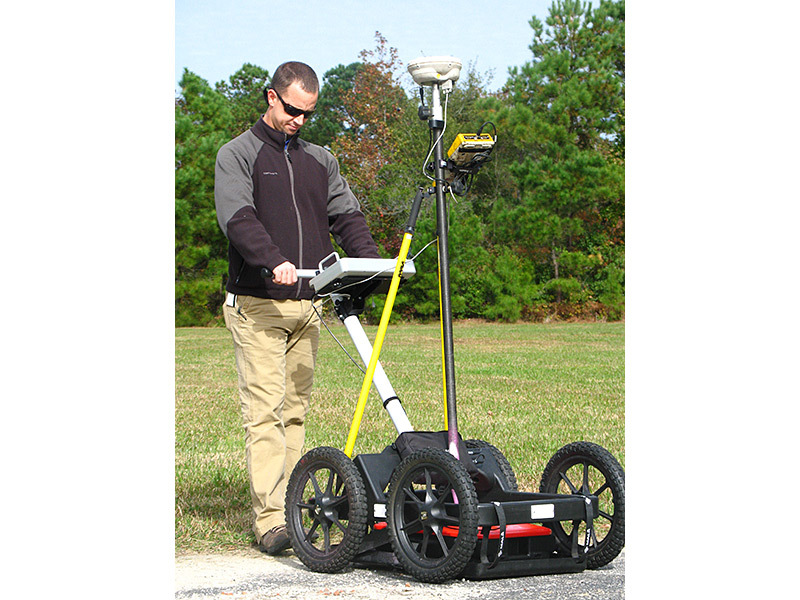 Condition assessment is a growing field with GPR. Bridge decks, parking decks, and other structures may be scanned to nondestructively evaluate the amount of deterioration of these structures. Areas of degraded or compromised concrete from corroded rebar and delimitation are detectable with GPR as are areas of low propagation velocity, due to the higher dielectric properties from infiltrated water and chlorides. Introducing the MALÅ RoadCart system, that provides a new breakthrough in GPR infrastructure technology for evaluating pavement, base and sub-base thicknesses. It is an extremely portable, user-friendly and cost-effective ground coupled platform that provides unmatched performance. The platform of the MALÅ RoadCart system is built on the MALÅ ProEx control unit, which allows the user to utilize multiple antennas with varying frequencies, all at the same time and all capable of data collection at highway speeds. The typical setup for the RoadCart system is a two-antenna configuration that includes a 2.3 GHz antenna for pavement evaluations and an 800 MHz antenna for relatively deeper base and sub-base evaluations. However, the MALÅ RoadCart can accommodate frequencies as low as 250 MHz to allow the user to use the system for deeper geotechnical investigations.As many of the projects in the roadways and transportation infrastructure area involve surveying of larger areas, MALÅ Geoscience is pleased to introduce also the cutting edge GPR array system, the MALÅ MIRA (MALÅ Imaging Radar Array) System. The MALÅ MIRA System has proven to match the need for many institutions and organizations worldwide in their intense work to secure areas that are more or less collapsing by the aging infrastructure. Road blocks cost money. Better to be invisible. By its very nature, infrastructure maintenance is intrusive and results in disruption to essential services that support the economy. Little to no public appreciation is given to the operations that impede the level of service of infrastructure; however, any mitigation of this disruption is rewarded by significant reductions in economic loss. MALÅ GPR (ground penetrating radar) equipment offers a non-invasive solution that can significantly reduce incidentally costs due to traffic congestion, interruption of services, restricted access and delays, for which the financial impact often far outweighs the cost of the maintenance. Material neutrality, locate non-metallic services too. In the perfect world, everything may be made of gold but in the real world services and subsurface objects come in a variety of materials, PVC, clay, metallic, concrete, etc.. Conventional service and object locating tools require physical connection to the target and cannot detect non-metallic materials. 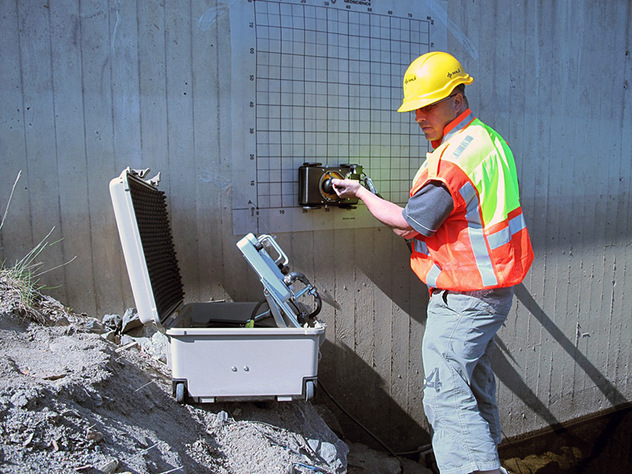 MALÅ GPR (ground penetrating radar) technology facilitates location of both metallic and non-metallic services and objects from above the surface, without the need for a physical connection. Mitigate risk and sleep better at night. The immediate consequence of fail of infrastructure is often the loss of life and essential services and places a tremendous burden on the economy with the additional possibility of a threat to public health. Migrating these risks through predictive maintenance provides obvious benefits and usually achieved through the use of technology. MALÅ GPR (ground penetrating radar) equipment is used to provide high resolution and accurate over vast areas at high acquisition rates. This data is then used by engineers to plan and prioritize maintenance programs to minimize the risk of failure. The axiom “the cure is worse than the disease” can be applied to many conventional assessment techniques that end up creating more damage to the structure than the potential defect being investigated. In contrast, MALÅ GPR (ground penetrating radar) surveys are rapid, cost-efficient, and non-destructive, posing no risk to structural integrity of the area under investigation. For flexibility. One tool many applications. Often tools are very specific and become too complex to be used when customization is required for application in different environments. MALÅ GPR (ground penetrating radar) offers customizable systems constructed of configurable components that can be adapted to a wide variety of applications. The flexibility of MALÅ GPR (ground penetrating radar) control units and extensive range of antennas offers solutions across the full life cycle of the infrastructure – planning, designing, construction, and maintenance. Configuration can be performed in the field, if/when conditions require a modification, realizing further economies by expensive retooling. Independence. Leave the team work for other projects. Teamwork is great but no one wants to pay for a team when only one person is required. Invasive technologies, such as X-ray require a team carry out the assessment, not to mention the planning required, restricted access to the site and danger to the operators and the public. On the other hand, MALÅ GPR (ground penetrating radar) equipment is portable, ease to set up and use, and requires only one person to operate – therefore saving money and time. Job security and stay competitive. No one likes to watch the other guys get all the work. Across almost all industries, the introduction of technology is a sure means to staying competitive. MALÅ GPR (ground penetrating radar) equipment drastically improves the scalability of operations, and therefore, the cost-effectiveness whenever the technology is deployed.